As Star Wars fans everywhere prepare to celebrate their favorite holiday, we're sharing these fun Free Printable Star Wars May the Fourth Be With You party candy wrappers to help you throw the best party from a galaxy far far away. 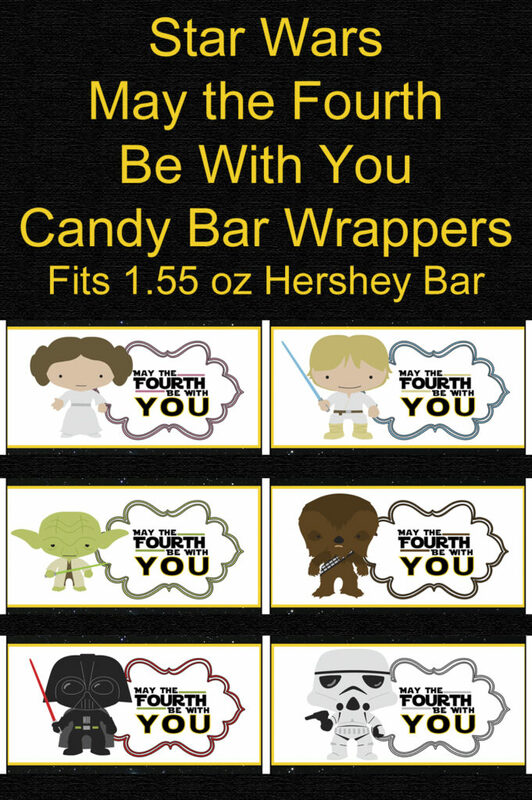 Simply download the printables from the link below, wrap them around a 1.55 ounce Hershey bar, and seal to have a one-of-a-kind treat for your little Jedis. 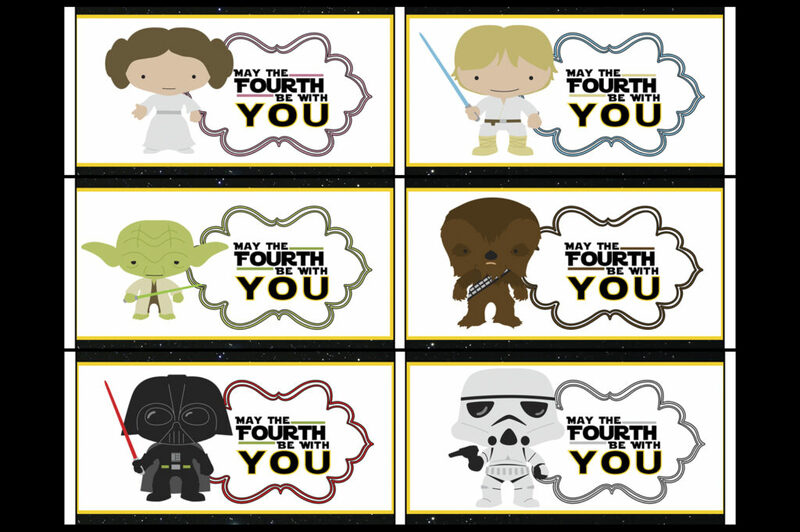 Whether you're throwing a party at school or sending your young padawan to Jedi training camp, these Star Wars May the Fourth Be With You Party Printables are sure to be the hit of the party. To print this set of six Star Wars May The 4th Be With You Party Printables, simply click the image below and save the .zip file to you computer. Once the candy wrappers are printed, cut each label as outlined, wrap around an individual Hershey bar, and seal. Star Wars fans young and old will love these Star Wars themed sweet treats.